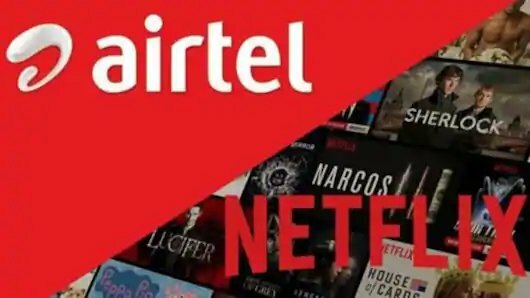 It is a double delight for Airtel users which announced in August that they will offer free Netflix access to all users on select post-paid and broadband plans. The company has now started rolling the offer to select post-paid customers, though there is no confirmation for broadband customers. 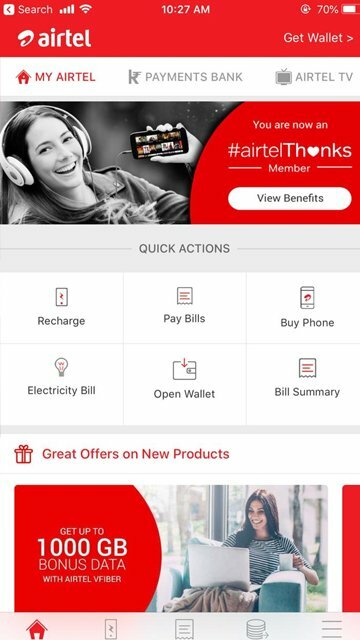 As part of the #AirtelThanks plan, this offer is available on My Airtel and Airtel TV App and the customers can avail benefits of Rs 1,500 as part of the plan. What are the Plans for which it is available? The offer is available for post-paid plans starting Rs 499 onwards. 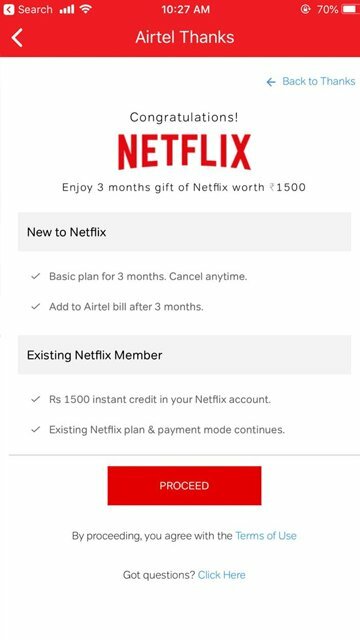 Free Netflix access to users is available on post-paid plans which are priced Rs.499 and above. So all users who have the following plans Rs. 499, Rs. 649, Rs. 799, Rs. 1,199, Rs. 1,599, Rs. 1,999, and Rs. 2,999 will able to access the Netflix for free. 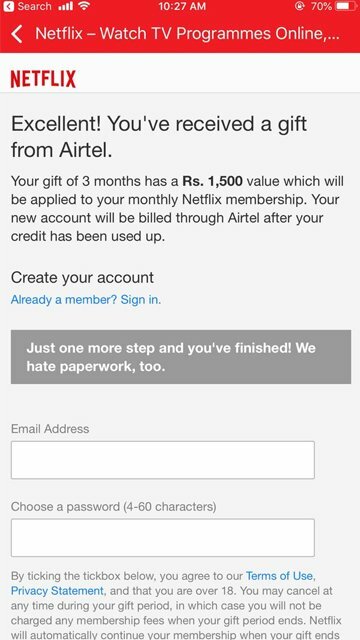 What do you get when you avail the Netflix access from Airtel? All you need to do is avail the Netflix access from the MyAirtel app under the Airtel Thanks banner. Under this offer, Airtel users will get a free 3-month access to the base Rs. 500 Netflix plan, which allows for single-screen access and only SD quality videos. 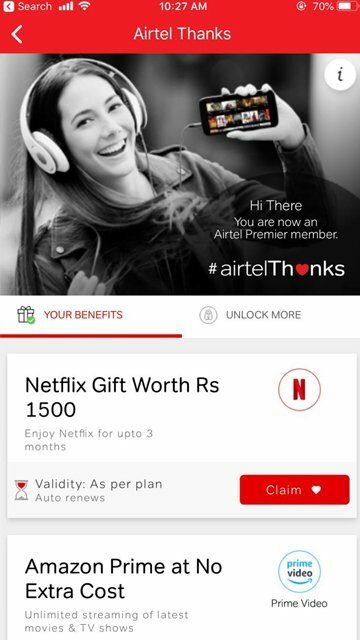 How to avail free Netflix Airtel Offer? Download the MyAirtel app if you have not already done it. If you have the existing app, make sure you update it. You can also look for the same option in the Airtel TV app. Get access to the Netflix gift worth Rs. 1,500 in the list of freebies. You now have to log in to your Netflix account or you will need to create a new account. Hit Proceed after you do so. New users will be directly enrolled for three months and if you are an active user of Netflix, you will get Rs. 1,500 as credit in your Netflix account. This amount will be deducted over the next 3 months. The best part is that you need not add any credit card or payment details to use the service. Thus enjoy your free Netflix with Airtel over the next 3 months and get access to the best entertainment, free of cost.